The Hilux legacy is legendary. Since its introduction in 1969, the model has etched an enviable reputation for itself across the globe, where its durability, strength and outright quality, has entrenched itself in the hearts of its owners. Nowhere is this truer than in South Africa, where the venerable Hilux nameplate is regarded, not merely as a mode of transport, but as a trusted member of the family. Within the light commercial vehicle market (LCV), customers no longer only expect toughness and durability from their ‘bakkie’, but are placing much greater emphasis on comfort, convenience and design. The ‘bakkie’ of today needs to fulfil a multi-purpose role, and not merely as a ‘jack of all trades’ but in fact it needs to be a ‘master of all’. The interior design of the Hilux sets new standards for a light commercial vehicle. The same design ethos of tough and advanced was used to create an interior that combines ruggedness and practicality with innovation and design. 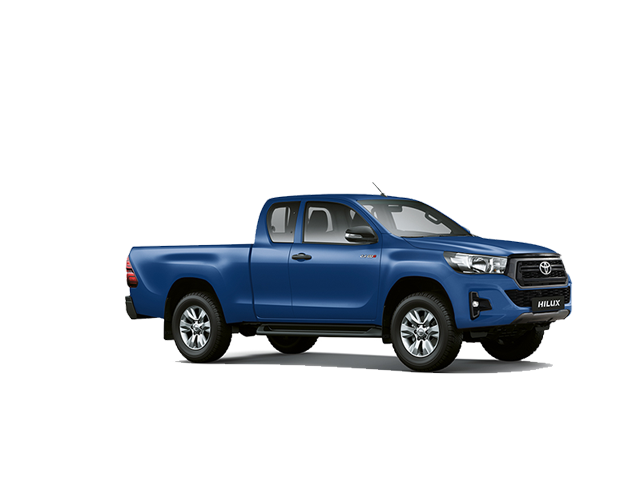 For buyers venturing off-road, the new Hilux is naturally available in part-time four-wheel-drive derivatives, building on the acclaim of its forefathers. A highlight of the new system is the electronic rotary 4WD switch housed within the dashboard, which replaces the previously employed ‘second gear lever’, offering greater ease-of-use as well as contributing to a ‘cleaner’ interior design. *IMAGES USED ARE FOR DISPLAY PURPOSES ONLY AND MAY NOT SHOW EXACT VEHICLE SPECIFICATION. PLEASE CHECK WITH YOUR SALESMEN WHEN ENQUIRING. Terms and Conditions Apply.